In winter term 2014, Sarah started her law studies at FAU. She took part in an integrated study-programme for German-French law and studied at University of Rennes 1 from 2016 to 2018 where she obtained a French LL.B. and Master 1 in European Law. 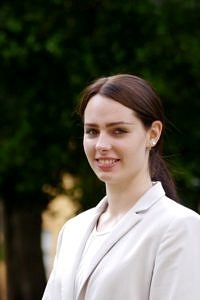 Due to the international focus of the law courses she followed in France and during an internship in Paris, Sarah became aware of the practical relevance of international arbitration law and the importance of the CISG. She currently works at a Nuremberg based Law Firm as an undergraduate assistant. Vis Moot offers her the opportunity to establish contacts with future jurists from all over the world, to deepen her knowledge of international law and English legal language, and to prepare for the job as an international lawyer which is her career goal. 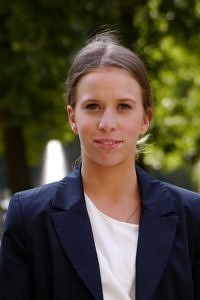 Katja graduated in 2016 from the Albert Schweitzer Gymnasium Erlangen, and started studying Law at the Friedrich Alexander University in the Summer Semester 2017. In the Winter Semester 2016/17 she attended the International Peoples College in Denmark where she first experienced working on an international level. Through participating in the Vis Moot she hopes to broaden her knowledge and gather some practical experience in the every day work in the legal field. Marcel took his high-school diploma at the Marianum Fulda in 2014 with advanced courses in math and physics. There he gained his analytical thinking which aids him for the private law so that early on during his studies a preference for this field of law was exposed. 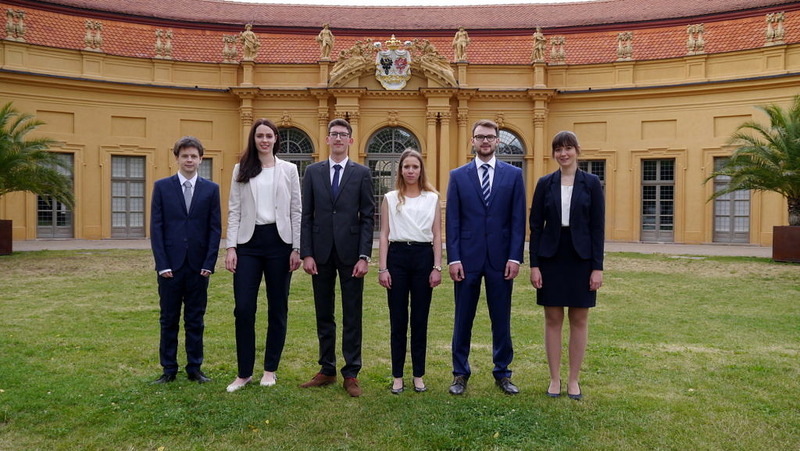 By participating in the Vis Moot he is looking for growing together with the other students to an harmonic group and to gather valuable experience with them. He also rejoices over the chance to get an insight in the legal practice by writing a memorandum and by the exchanges with experienced lawyers. After finishing a political Voluntary Year of Social Service, Céline started her law studies in 2016. 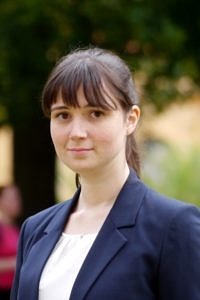 During her studies, she worked as a student assistant at the Chair of Philosophy of Law and Social Philosophy. She is very interested in civil law problems in an international context. Céline is looking forward to examining the new field of law thoroughly in the team and is keen to improve her language skills. 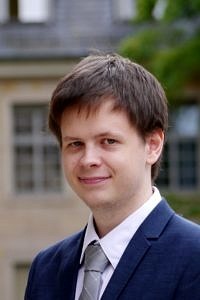 Jannick completed his abitur in 2016 at the Melanchthon Gymnasium in Nürnberg where he was awarded with the Melanchthonpreis after being the students‘ representative for several years. 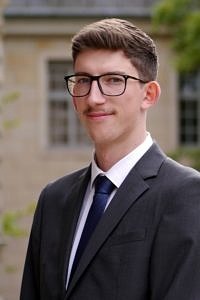 He started studying law in the Winter Semester 2016/2017 and since August 2016 he is a working student at an international company based in Nürnberg where he has already worked in several different departments. As he is the leader of the University’s debating club, Jannick is looking forward to work on his public speaking skills while training for the oral pleadings. 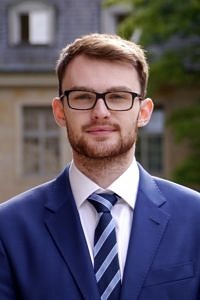 After finishing his A-levels at the Rosenstein-Gymnasium Heubach, Philip started studying law at the Friedrich-Alexander-University in summer 2016. During his studies, his interest in civil law increased particularly and therefore he has chosen economic law as his compulsory elective subject. In school he participated in school exchanges in France and Spain. These exchanges gave him the opportunity to meet students from different nations. Not only for this reason he is interested in participating in the Vis Moot but also he wants to improve his legal English skills. He is excited about having a varied semester and is looking forward to work on a lifelike case.